TDPS Wednesdays starts this week! This week we start our new TDPS Wednesdays Series on Wednesday, September 13. This week's topic is an introduction to our new program, the International Program for Creative Collaboration and Research, presented by Professor Frank Hildy. The Clarice's NextNOW Fest is also this week, featuring many TDPS students and alumni! Check out the details below. Come learn how TDPS' new program, the International Program for Creative Collaboration and Research (IPCCR), will affect you and how you can help set the direction for its future. Learn the ins and outs of Facebook, Twitter, Instagram, and Snapchat to improve your social media presence and make your online promotional efforts more effective. We will begin with a brief 15-20 minute presentation, but the focus of the workshop will be on answering your questions--so come with questions! If you have specific topics you'd like us to cover, please email tdpsmarketing@umd.edu with your suggestions. are involved in this year's NextNOW Fest! See the full NextNOW Fest lineup here . This season, The Clarice is proud to present several artists whose beliefs in social justice and the power of the human spirit inform everything they make. Designed to complement UMD’s Do Good campus initiative to create a hub of activity for philanthropy, nonprofit management, public policy, social change and leadership, these events will educate, inspire and reinforce the importance of taking action to make positive change in our society and in the world. Do Good Dialogue: Hands Up, Don’t Shoot! The Bitter Game Post-Performance Discussion: Know Your Rights! John Ford ‘64 and Sandra Poster ‘64 met during their undergraduate years in the UMD Theatre program (then known as Speech & Dramatic Arts), and went on to build careers in speech and communications. 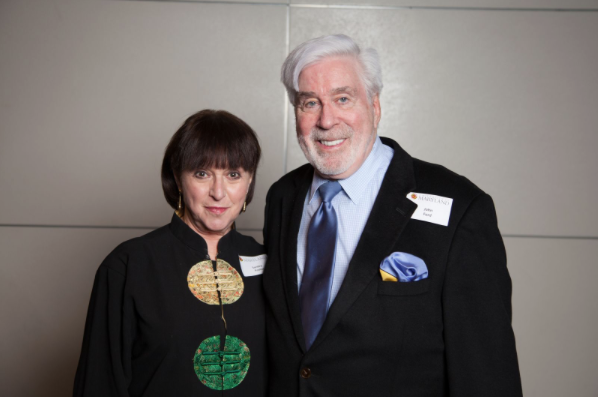 John is the Chair of our Board of Visitors and this past year, he and Sandy decided to make a gift to UMD TDPS to support the future of performing arts education. 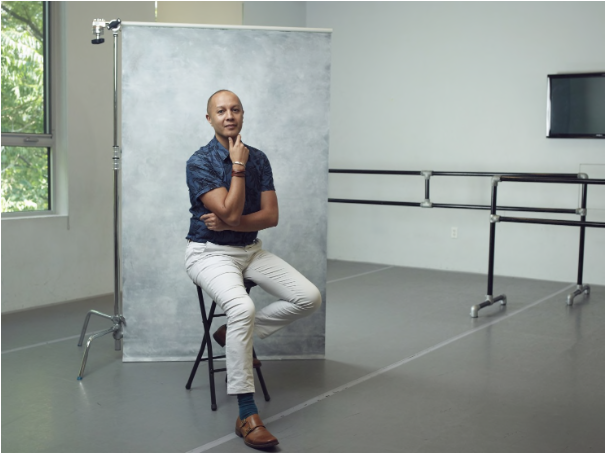 TDPS artist-in-residence "alum" Christopher K. Morgan was featured in the Washington Post, introducing him in his new role as Executive Artistic Director of Dance Place. MFA Design candidate Peter Leibold was awarded the Hemsley Mentorship this summer to support his independent study at American Airlines Theatre on Broadway with renowned lighting designer Japhy Wiedeman. He observed Wiedeman’s work on the Roundabout Theatre Company’s production of Marvin’s Room from beginning to end. He also spent his time in NYC researching artists and analyzing the use of light in paintings found in the city’s many museums and galleries. PhD candidate Patrick Crowley was awarded a grant from the College Park Community Foundation (CPCF) to support a new theatre course that will engage with students in Prince George’s County high schools. The course, entitled Community Engaged Theatre: Devising, Producing and Touring Original Work, aims to create partnerships between UMD and area high schools, as well as provide educational and artistic opportunities for Prince George’s County public school students. The course will be offered by TDPS in the Spring of 2018. 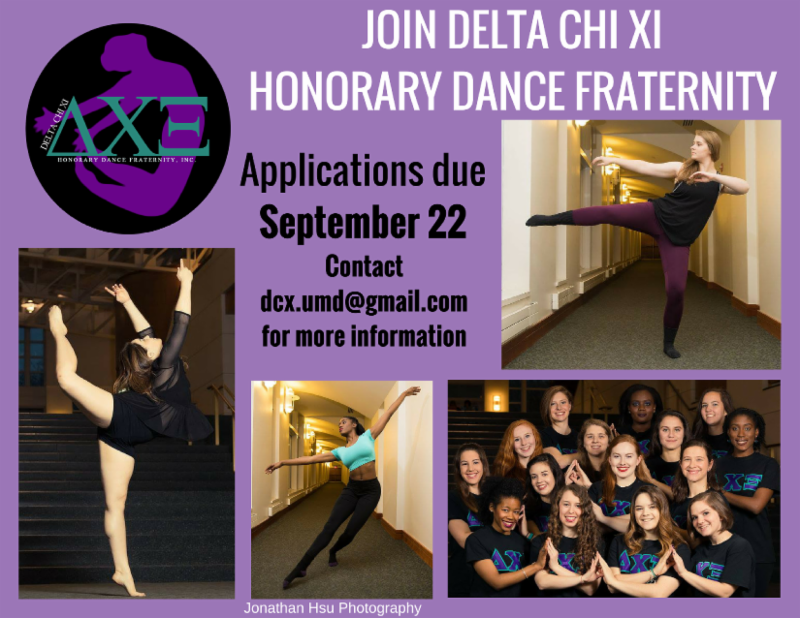 Become a member of the Delta Chi Xi Honorary Dance Fraternity! To apply, fill out the following form and send the second link to a faculty member for a recommendation letter. Applications and recommendation letters are due September 22nd at 5:00pm. Email dcx.umd@gmail.com with any questions. This fall, Ford’s Theatre presents Arthur Miller’s classic Death of a Salesman from September 22 - October 22. College Students can use the discount code MILLERSTUDENT to receive $12 tickets for the show on October 3rd at 7:30PM. Discount is not available in Dress Circle; up to two tickets per order. Students must show college ID if purchasing tickets at the box office or picking up from Will Call. Purchase tickets here. Interested in modeling for classes in the UMD Department of Art? Check out this opportunity here. Smithsonian Discovery Theatre is casting for its upcoming season as well as replacement actors for an ongoing in-gallery performance at the National Museum of American History. All roles are paid; all actors must be over 18. Must be available for weekday daytime rehearsals and performances. If interested, submit your headshot and resume to DTinfo@si.edu. More info here. MFA Dance candidate Christine Hands is seeking dancers to participate in a project about the refugee crisis, in collaboration with the School of Music. Contact Christine at hands@umd.edu by October 1 at. More info here. A UMD research project in partnership with Baltimore City Public Schools is testing the efficacy of Toggle Talk, a curriculum supplement created for kindergarten and first grade teachers to help children become bi-dialectally fluent. The project is seeking male and female speakers who can dialect shift between African American English and Mainstream American English. Pay is $50. Contact Tatiana Thonesavanh at toggletalk@umd.edu if you are interested or for more information.